1. To help her more 'feminine concern'. 2. To find something that would actually help her asthmatic son. The products are distributed under Mediherba Solution and have been in the market for the past nine months. One of them was previously known as Gula-Gula Magic but after a few more upgrade & repackaging, it's now known as GGM. - No collagen (especially for those who can't consume collagen but still looking for a beauty supplement. - Help to enhance skin complexion, making it smoother, brighter and more elastic. 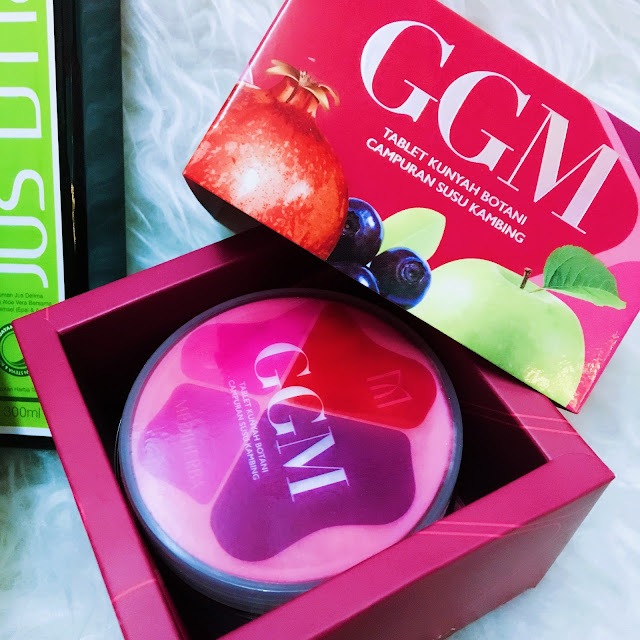 One bottle of GGM contains 30 flavoured 'candies' (apple and chocolate). 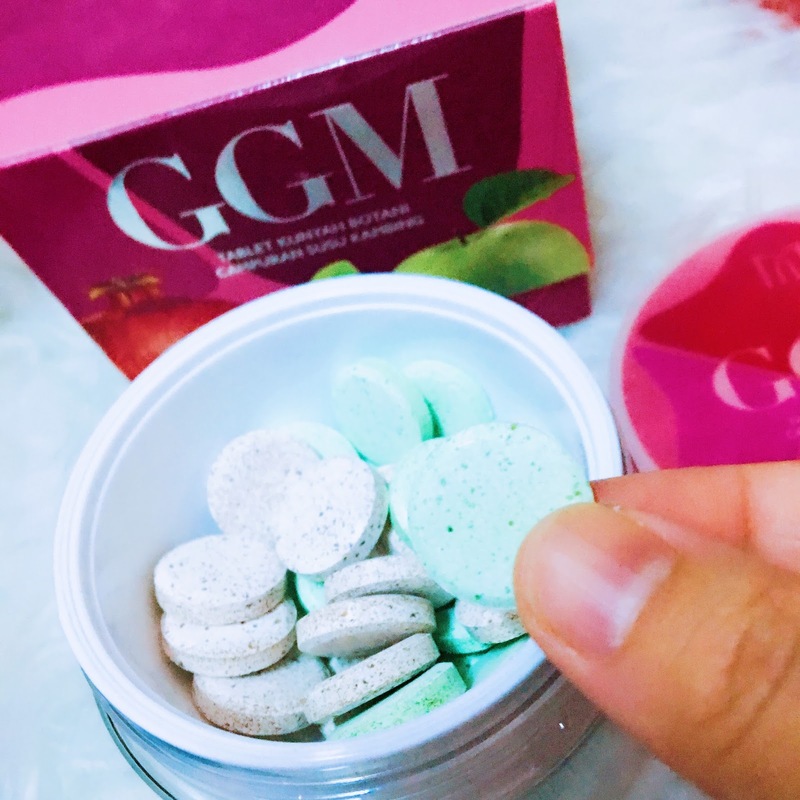 Recommended to take chocolate in the morning and apple at night before sleep, this chewable supplement can easily pass as a candy due to its sweet and yummy taste. Personally, I find this very easy to take which is perfect for my hectic schedule. 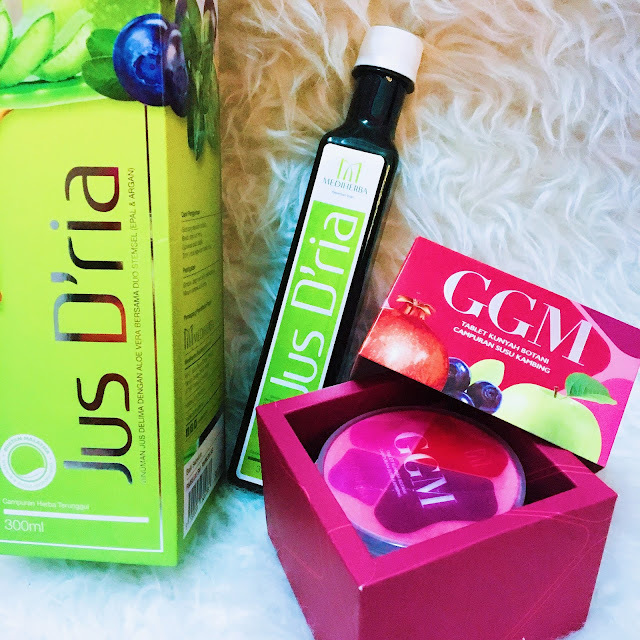 As for the Jus D'ria, Yaya Rosli personal account on how much her son health improved managed to win me over. As an asthmatic patient myself, I'm always on a lookout for anything that could help me reduce the number of attacks I have every year. According to Yaya Rosli and her husband, even their son love the taste of this Jus D'ria. 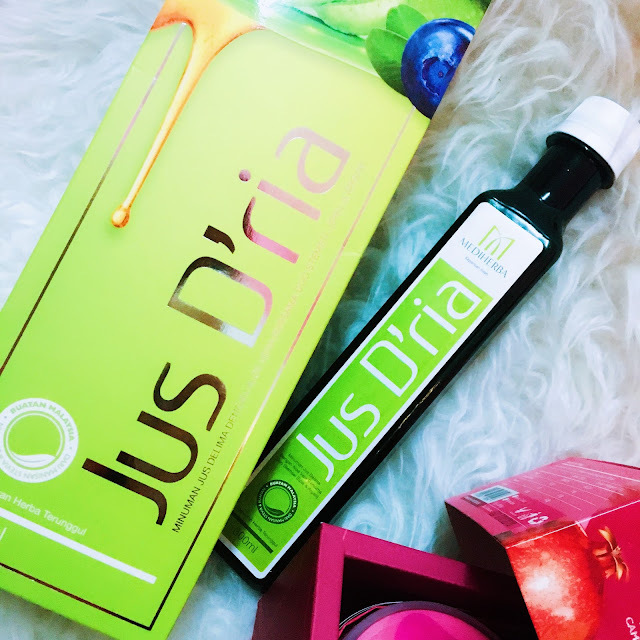 With key ingredients such as aloe vera, pomegranate, ginger, honey, Echinachea, oregano, garlic, Dong Quai ( a type of Chinese herbs), acai berries, camu-camu, vitamin C, akar manis, Apple stemcell, Argan stemcell and stevia. etc. Comes at the price RM88(EM)/RM98(WM) which is slightly higher than I expected but I think it's a worthy investment considering its health benefits. - For those who are having issues with asthma, sinusitis, eczema, coughs, cold, rashes, migraines, skin allergy, etc. Adult: 10ml daily (morning & night before bed). *It's also mentioned that it's better to consume this with a wooden/plastic spoon and avoid using metal or stainless steel spoon. *This is a sponsored post, but the opinion of the products are solely mine.